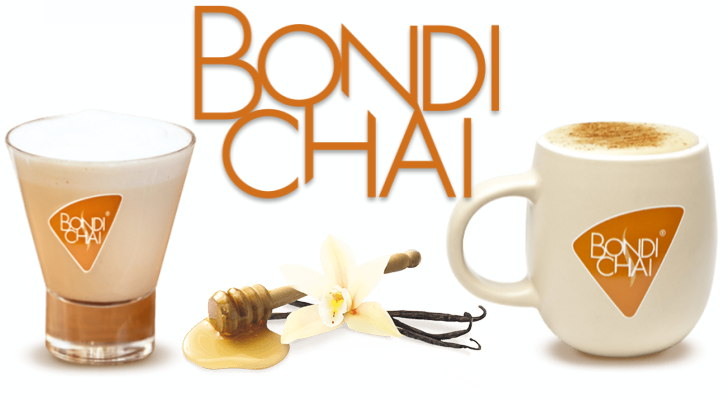 Bondi Chai: Spice Up Your Life! Wat is Bondi Chai Latte? Bondi chai Latte is een heerlijke theedrank op basis van specerijen zoals gember, kaneel, anijs, kruidnagel, gecombineerd met vanille en honing. Bondi Chai Latte wordt bereid met melk. kaneel, Darjeeling thee, honing, anijs en gember. vanille, Darjeeling thee en een beetje gember. 1. Doe 3 volle theelepels (10-14 gram) of 1 portiestick Bondi Chai Latte in een glas. 2. Voeg 180-250 ml warme melk toe. 3. Even roeren en klaar! It was love at first sip when we first came across chai latte while visiting the US to watch the ball drop on the new millennium with two million other people in Times Square. We brought a pack of the gorgeous-smelling powder home with us… it lasted a few months and the US owners that we contacted for more told us there wouldn’t be any… unless we wanted to sell it in Australia ourselves. We had our own PR/marketing business at the time, so we thought how hard could it be?! We soon found out. Selling an unknown product with a weird name (“chai what! ?”) to an industry we knew nothing about – and that didn’t want to know us – was incredibly difficult, and very frustrating. 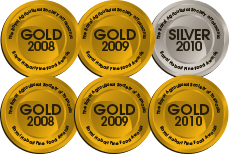 But we still thought it was a good idea and after three years of persistence our US import began to get some traction. Then came our next major challenge – our US supplier sold their brand and Australia was scratched from the new owner’s plans, leaving us with no chai latte and some very upset customers! 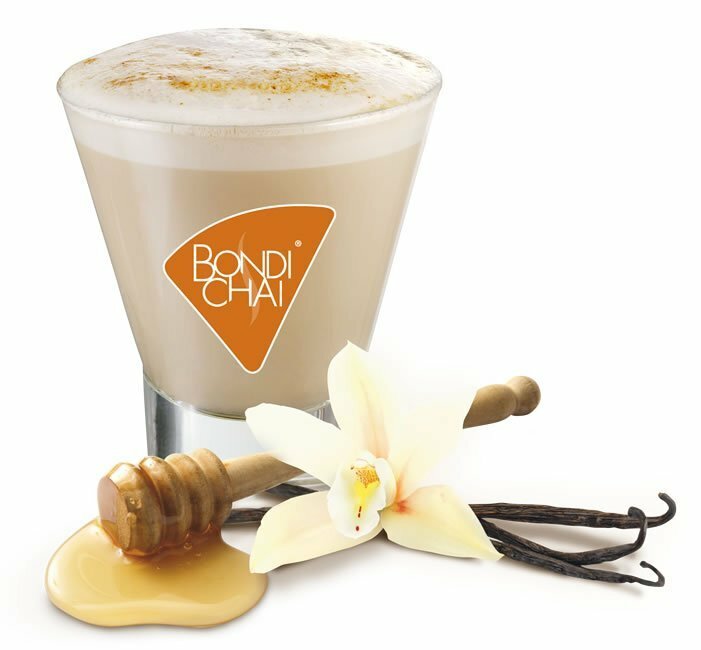 Ten years on, Bondi Chai has grown exponentially and has earned a reputation as the ‘gold standard’ chai latte in Australia with more awards for taste and quality than any other product of its kind. Export was always a big part of our growth plans – it’s one of the key reasons we chose the name Bondi – and we’re also well down that track. These days you can enjoy a Bondi Chai Latte in places as far apart as Kathmandu and Katoomba, Amsterdam and Armadale, Launceston and London. 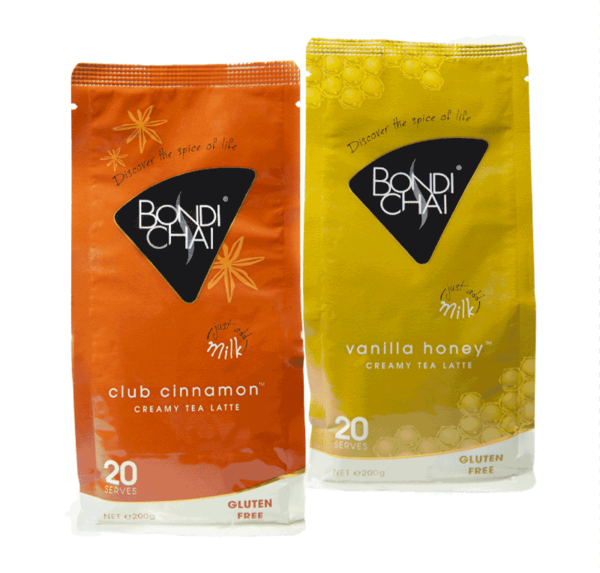 It’s absolutely amazing for us to hear someone ordering a Bondi Chai Latte at Zilte Zoen, a beachfront cafe near Amsterdam, or in a crowded bakery cafe in London or in the Oberoi Hotel in Delhi, or a ski lodge in Switzerland… We’re excited by what’s in store for Bondi Chai, but we’ve never lost sight of the fact that it’s the product that’s the real hero in this story. We’re grateful – every day – for all the people who help us to make Bondi Chai and distribute it to every corner of the country and many parts of the world. But we’re most grateful, of course, for the most important people of all… those of you who have made Bondi Chai your favourite drink.